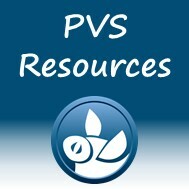 Welcome to the website for the Pig Veterinary Society (PVS), a specialist division of the British Veterinary Association. The Society was founded in 1963 and includes members from around the World and from all areas of the pig industry; membership is open to veterinary surgeons and scientists working in the pig sector. Further history of the organisation, along with details of how to apply for membership and member benefits, can be found within the pages on this site. We work with many partner organisations throughout the UK and the World to assist our members within their field of work. Please explore the menu bar above for all the different areas (although there are several sections that are limited to member access only) and we hope to see you at one of our meetings soon.